I love your style! Your videos are great and have convinced me to buy an embossing tool. Get 5,000 targeted visitors to your site in 7 days for just $49.99. It comes as no surprise to me that all of your FAVORITE stamps are “sold out” at twopeas. You should get a commission from Hero Arts ….. your talents are selling their stamps! I will keep watching to pick up some of the ones I want for my stash! I agree, I hope you are getting a commission from all the companies that indirectly you represent a lot of them and with your huge fan club that you have and growing that’s more than fair. It should not be a commission more like a marketing fee on their behalf. Including Simon Says Stamp, Tim Holtz, Prima just to name a few. Since I came across your videos, I had spent hundreds of dollars in supplies, and now need my studio because I have so many supplies! But you are a very smart lady, and I am sure you already are doing this, now you have to do it in Spanish so you can get the Hispanic community! (Sorry if I speak little English). I have been a fan of yours for 3 years now and I have to admit that I’d probably have a total meltdown without your wonderful how-to videos. Thank you for doing them and sharing them. You are fabulously creative and artistic! 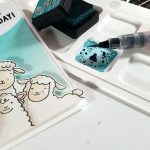 I love this latest card, it’s a great party invitation and love this kit…I am considering joining and being a month subscriber of the Simon says kits! Vicky: You inspired me to start a journal and i love it! I’m so glad to have found you on you tube. Thank you from my heart. Love your art jornaling. 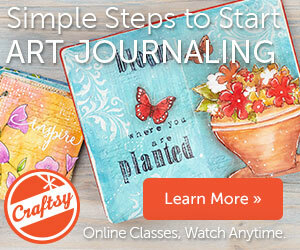 What journal do you use and what size is that? You work is just amazing. I am awestruck looking at your Journal pages. Even after seeing your detailed videos I wonder if I can do them right. It’s magic in your hands. Love the 3-D effects you give. Kudos to you! Hope to learn from you. HappyCrafting !! very nice wowan with a real talent! thanks for your videos, they help really me, because I’m not so good. I love all your pages of art journal!!!!!!!!!!!! 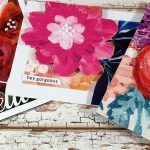 I’m hoarding me SSS card kit so I can see what you create with it. I love your work you are so talented. Looks as if the mighty Tim has copied Vicky’s stacked tea cups. I love all of your work especially your journal pages. i found your youtube channel by accident and I must say: you`re great. I`ve shown your videos to everyone,i know, who is crafting too…..
No day passes without looking for a “Vicky” Video on youtube! I just wanted to say that I found your videos a while, while back ago and I just cannot get enough. I’ve been in love with art since I could color, and well now as an adult I just cannot get enough of it. I also just discovered art journaling a few years back. Haven’t tried it too much as the supplies really overwhelm me. But looking at your art journals has really inspired me, and actually have me wanting to “borrow” some of your ideas (lol) which are beautiful and so whimsical! I just showed my mother Rosa some of your art journal videos and she’s so in awe with them as well. Well God bless and keep up the good work. I just recently discovered your blog and I am just hooked! You inspired me to start my first art journal. 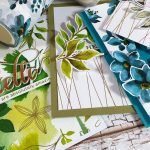 I have been a paper crafter and card maker for quite some time. But I had never tried art journaling until I saw some of your videos. I cannot thank you enough for setting me on this new path! You are amazing! tus trabajos son increibles !!! los adoro ! me sirven de inspiracion para mi art journal . I’ve been thinking about you today after watching the news & hope you & your family are doing well & pray there is no violence. Vicky, I stumbled across your you tube videos a while back. You inspired me to try my first journal. Your work is amazing. You are extremely talented. Thank you for spending the time to share your tips with everyone. Have a great day. Very inspiring! Trying to find some of the supplies you list is keeping me busy here in Vancouver. It’s a good thing that online shopping is so easy. Thanks for sharing! Thanks so much for inspiring me. I so look forward to seeing your videos and have watched every one. When there isn’t a new video from you I am disappointed. Your art journal videos encouraged my to try similar pages on canvases for several family members’s birthday gifts. I was so pleased with the outcome as were each of them all due to your sharing your gift of art. It’s so gratifying to feel that I can create something beautiful and I owe it to you. Thank you. I am new to mixed media creative arts…and I love your presentations! So many wonderful tips and product demonstrations. Yours is the top 3 in my go-to list of YouTube artistic instructors. Thank you for sharing your talent! 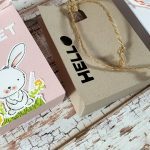 I am thinking about subscribing to Simon says monthly card kit, but I have to pay international shipping fees, I want to know if you find, in your honest opinion, that the kit is worth it? It looks so much fun everytime you get it and I just get so inspired but would you buy it yourself if you didn’t receive it? Thanks for your awesome and amazing videos I am seriously addicted to it, and get withdrawal symptoms if you take to long to post something new. Thanks so much of all your posts. Love your cards and journal pages most. I am a big fun of their kits but as their designer I do get them for free. It might cost you more than the actual kit to get it shipped to you plus possible custom fees. Maybe you can try it once and see if you are having fun with it to justify the cost. I have recently discovered your You Tube channel and love it. Am new to MM so am getting some real inspiration from you so thanks so much for sharing your work with us. A question for you… are there any Greek stamp manufacturers? The reason I ask is that I love text stamps and would like some in languages other than English. There are so many English and French script stamps on the matket (both of which I have), and I already have a Latin and and Italian and would love to add a Greek one (and Spanish if you can help with that also?) to my collection. I just can’t seem to find anything other than alphabets and math symbols so far when I do a Google search. Vicki I am really enjoying your video’s. I live in New Zealand and I am awaiting a hip operation so not very mobile at the moment. Sitting watching you work your pages is a real joy to me. I love how you treat each page and clean up as you go!! Hello , I recently came across your You Tube videos and fell in love with your work. I love your command of the language and your soft no nonsense voice. Your work is amazing . I am going to follow you as my go to artist from now on. Thanks for making your beautiful talent available to us folks . I don’t believe there are any words any of us could use to express how much we appreciate you and your work. My husband always says if you love what you do it is a hobby, not a job. And you are proof of that. Your ideas are simplistically beautiful and the instruction is so easy. I can share with my grand daughter. Bless you and your “work” kiddo. Look forward to your next posts. You are so thoughtful to share your time your vacation time with us. It was a beautiful walk. You are proud of your country and it shows. I loved your video as much as your art video thanks again enjoy your coffee and your vacation. Wow, what a lovely place. Thank you for sharing your walk. Seems like a wonderful location to take a vacation. Are the islands as beautiful? If so, no wonder you are proud of your home. Thanks again, and hope y’all have Fun! Hi Vicky, I have a quick question. I was purchasing a Sizzix machine and my husband saw a circut explore one machine and ordered it for me. What are your thoughts of it? It looks interesting. Thank you for your tour. Your country is beautiful and I felt as if I was there with you. I travel a bit, with China being my last big trip. I would love to see your country someday. 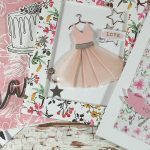 I’m so excited to be a Winner, Altenew New Day Card Kit Blog Hop ! I enjoyed following your holiday and enjoyed your morning walk around the village! Merry Christmas and Happy New Year to you and your family. May this bring a blessed year for all. Thank you for the entertainment, knowledge, and fun you have shared with us. Take care Vicky, until next time…see ya. just to let you know I look forward to your ytubes. my favorite is The Journels. Please keep them up. I have done a few for gifts on canvas frames. And they are a hit. MY FAVORITE CARD IS #8, ALTHOUGH THEY ARE ALL BEAUTIFUL. I LOVE THE CARDS YOU MADE FROM THE DECEMBER 2018 SSS KIT! I SUBSCRIBE TO SSS MONTHLY KITS AND AM LOOKING FORWARD TO GETTING THIS ONE IN THE MAIL!